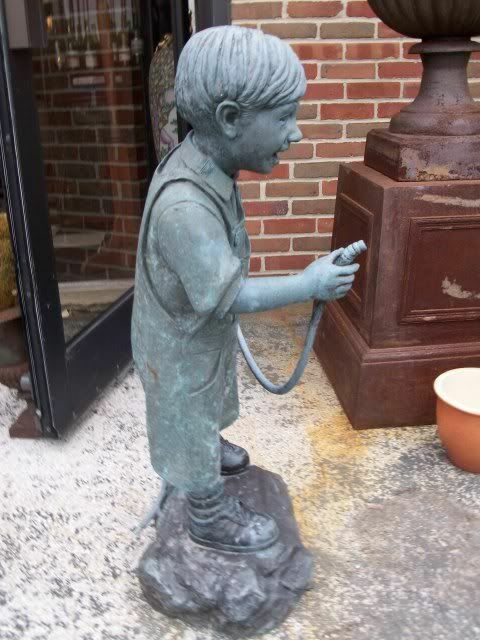 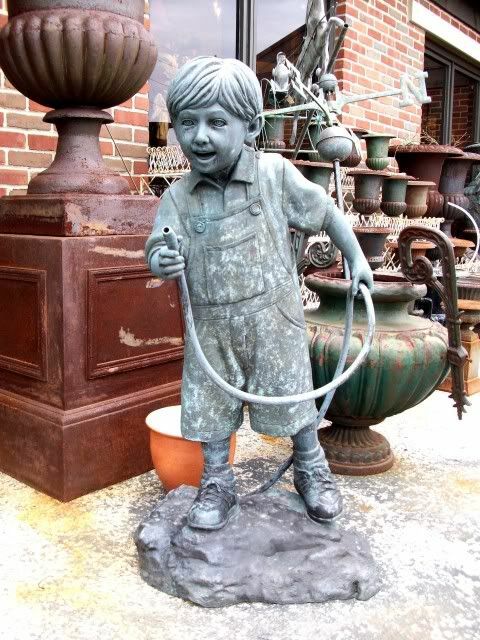 Solid bronze child with hose fountain. 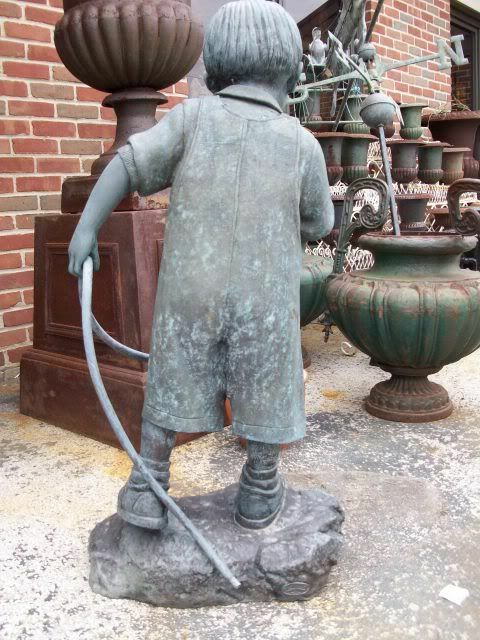 The fountain is cast in solid bronze. 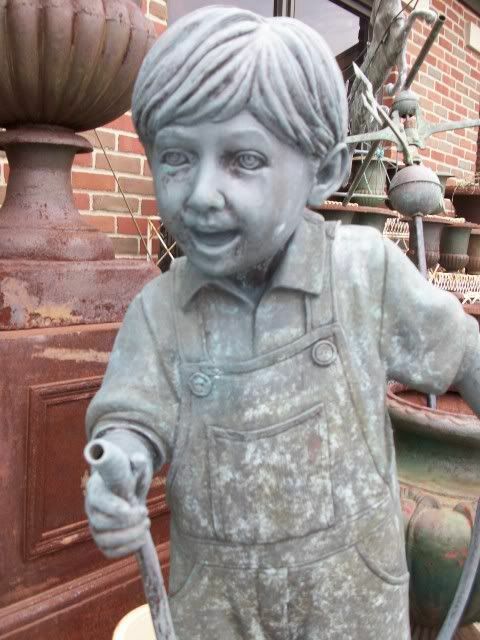 The fountain has been copper piped and is ready for installing. 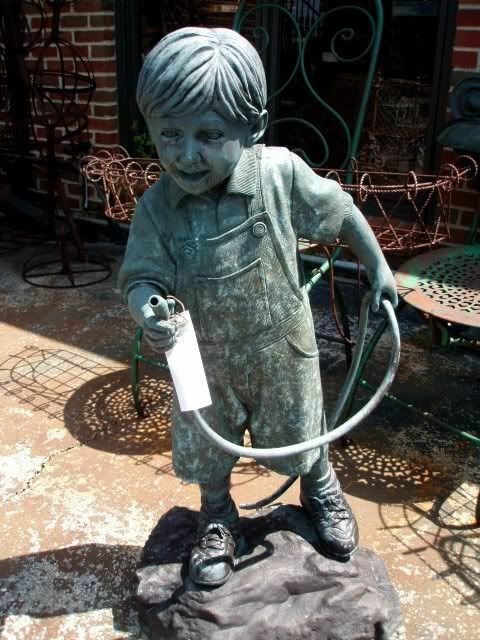 All you need is a pump and resevoir. 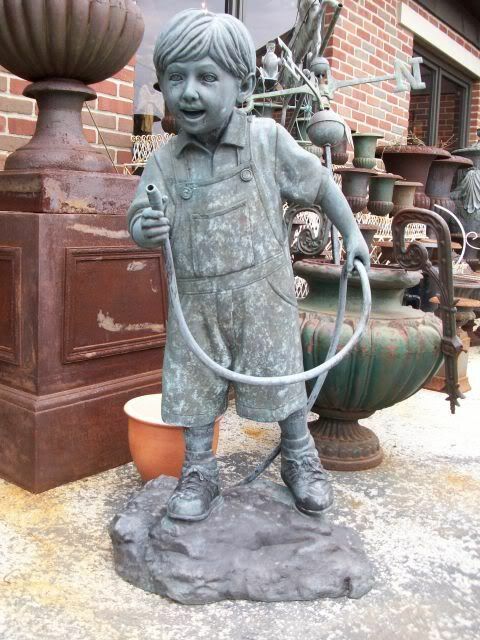 The bronze is a contemporary piece and measures 36 inches tall by 19" wide and 12" deep, weight is estimated 90lbs.